HELEN SJÖHOLM got her great breakthrough as Kristina in the musical Kristina from Duvemåla in 1995. During her career she has been awarded the prestigious theater prize Golden Mask twice, she has been awarded the Thalia statue for the role as Kristina and in 2018 she was awarded the royal medal ” Litteris et Artibus” for outstanding artistic achievements as a singer and actress. Helen dedicated herself to the choir and solo songs and educated herself at Kulturama’s jazz and pop school. In the late 1980s, she performed professionally in the singing and entertainment group “Just For Fun” and her professional musical debut was in 1992 at Malmö City Theater in newly written Elvira Madigan. The following year she continued on the theater with a role in the drama Volpone. In 1995-1999, Helen played the role of Kristina in the set-up of Björn Ulvaeus and Benny Andersson’s Kristina from Duvemåla. The premiere took place on October 7, 1995 at Malmö Music Theater. This title role would mean that she became a well-known name throughout Sweden. The set was a formidable success and the role interpretations were praised by audience and reviewer. Especially Helen’s dramatic God showdown in the song “Du måste finnas” (You Have To Be There) has touched a lot of people. In 1997, Helen also played in Fiddler on the roof at Malmö Music Theater where she played the role of daughter Hodel. In spring 2001 she played the role of Fantine in Les Miserables at Malmö Music Theater, and during the summer she once again toured with a concert version of Kristina from Duvemåla. 2002 WAS AN eventful year for Helen. In February, the Swedish set of Chess in Swedish premiered at Circus in Stockholm and again she played a major role in a musical by Björn and Benny. For her role as Florence, she was awarded the Golden Mask. In May 2002, Helen released her first solo album, Visor, which sold platinum the same autumn. Tore Ljungberg at Göteborgs Posten wrote lyrically in his review: “The voice is light magic, really captures the listener’s ears”. In the fall of 2003, Helen made her debut as a revival actor in Chinarevyn at the China Theater in Stockholm, where she collaborated with Lasse Berghagen, Magnus Härenstam, Loa Falkman and Sissela Kyle. In the fall of 2004, Kay Pollak’s movie Så som i himmelen (As It Is In Heaven) premiered in Swedish cinemas. Helen played the role of Gabriella, a woman in the local church choir who is being beaten by her husband. Helen now showed that her star power beams at least as strongly on the film as from stage. She was honored by both reviewers and audiences and won Aftonbladet’s vote on Best Women’s Role. WHEN BENNY ANDERSSON 2001 formed his orchestra BAO, no one was surprised to see Helen as a soloist in this group. Together with BAO, she sings “Du är min man” (You Are My Man), a song that can be described as a mega hit without exaggeration. It remained on the Swedish charts for 278 weeks, holding an unprecedented record. In 2005, Helen played the role of Polly Peachum at Stockholm City Theater in The Threepenny Opera by Bertolt Brecht, a set that was played for sold-out houses. In the fall of 2008, Helen took role of Eliza Doolittle in My Fair Lady at the Oscar Theater in Stockholm. For the role of Eliza, she was rewarded again with the Golden Mask, and the motivation was: “Every song she sings with conviction and musicality, every syllable is heard. She creates an heartfelt portrait of one of the most famous musical roles throughout the ages”. In September 2009, an English concert version of Kristina from Duvemåla was presented at Carnegie Hall in New York. There, Helen participated as the only Swedish artist, singing her title role with great success. On April 14, 2010, she again did the role of Kristina in English, this time in Royal Albert Hall in London. In 2010, Helen, along with Peter Jöback, also participated in several concerts dedicated to the musical creator Stephen Sondheim, who turned 80. That same year she participated in the performance Aniara under the direction of Lars Rudolfsson at Stockholm City Theater and in the autumn she released her second solo album; Euforia – Helen Sjöholm sings Billy Joel. In the beginning of 2011 she toured with the album and continued to tour in the summer, but then with BAO, who released the album O Klang och Jubeltid. IN DECEMBER 2011, it was premier for Lisa Ohlin’s movie Simon and the oaks, based on Marianne Fredriksson’s novel. Helen played Simon’s mother Karin and received consistently brilliant reviews. In September 2013, Helen was a guest in I Love Musicals – The Broadway Edition during two concerts and when it was time for the I Love Musicals tour 2015 she was back next to Peter Jöback on stage. 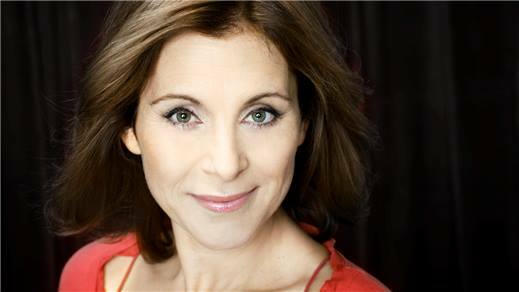 In autumn 2014 and spring 2015, Helen played the mother of four; Mona, in Jonas Gardell’s newly written musical Life is a hit song at Circus in Stockholm. 2016 BAO RELEASED the album Mitt hjärta klappar för dig and on the album release a summer tour followed. During the fall of the same year, Woody Allen musical, Bullets Over Broadway, premiered at Göta Lejon in Stockholm. Helen played Broadway star Helen Sinclair and the performance was described as “a long laughing party with powerful” by Aftonbladet. Even 2017 became a full year for Helen. In addition to participating in I Love Musicals Allstars, she performed concerts with Malena Ernman in Dalhalla, summer concerts together with Tomas Andersson Wij and participated in the concert series Vinterklang together with, among others, Anna-Maria Hallgarn at Wasa Theater in Finland. Even in the summer of 2018, Helen appeared in Dalhalla together with Malena Ernman, this time in the company of Sarah Dawn Finer and Nisse Landgren. This winter she will go on a Christmas Tour; December – Songs in the wintertime, together with her childhood friend and artist colleague Anna Stadling.